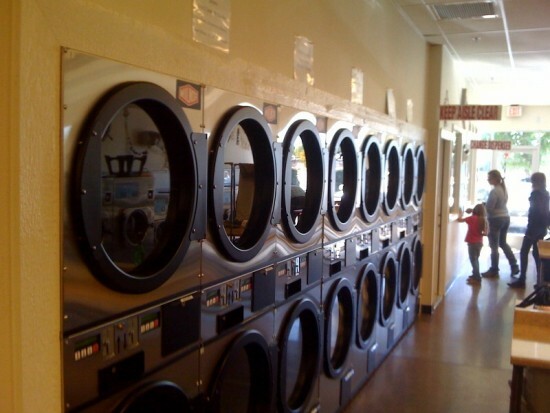 Milnor’s washer-extractors and dryers will allow your Laundromat to operate efficiently while providing your customers with quality service. 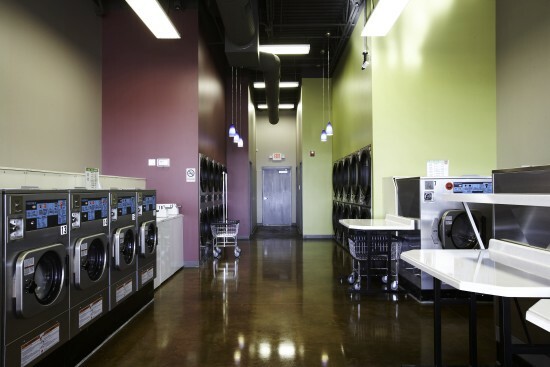 Milnor vended washer-extractors provide multiple ways to save your customers time, and save YOU energy, water, and maintenance time. 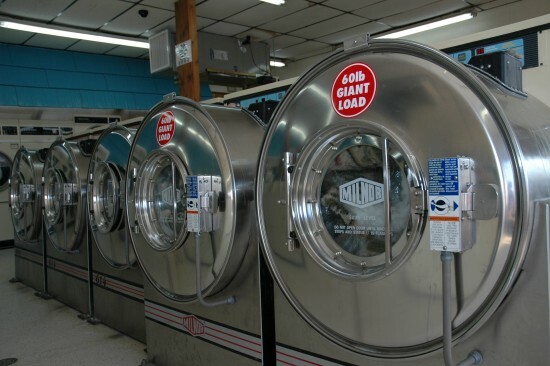 With models ranging in capacities from 20 – 60 pounds per load, Milnor’s line of vended washer-extractors have the ability to wash big loads quickly, are easy to use, and provide superior washing quality. 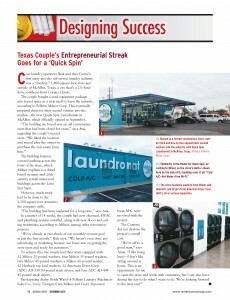 Our high performance vended dryers with outstanding airflow ensure fast, effective drying. Suds overflow protection keeps your floors dry and our gravity drain (no troublesome pump) drains quickly and avoids clogging. 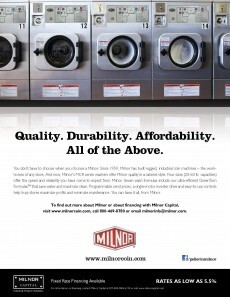 Milnor coin-operated washer-extractors have a large, rugged vault to deter theft – great for unattended areas. Milnor’s rugged frames are designed to prevent concentration of stress in one spot and all structural components are tied together for optimum stress dispersion. This proven structural integrity means your machines will last longer. And, every Milnor design model is tested for a minimum of 1,000 consecutive hours in a high-extract, out-of-balance state – ensuring your machine is tough and will stand up to years of use. Milnor’s bearing design is long proven while other companies keep experimenting. 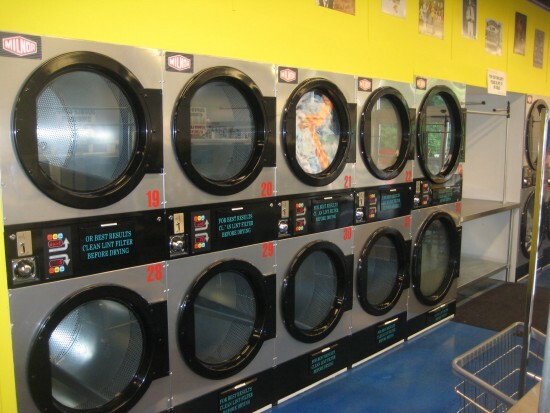 Milnor machines typically last longer because of their legendary ruggedness, thoughtful design and dependable quality. 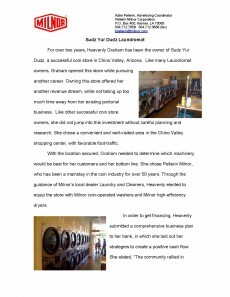 Milnor laundry machinery is sold worldwide by the most highly regarded dealer network. 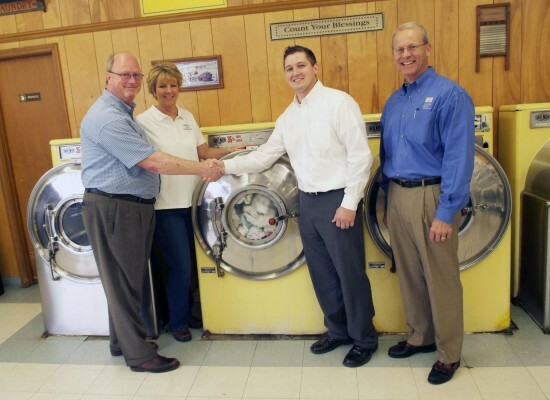 Dealers not only provide complete equipment packages, but also can help with planning and installation and offer technical support for your vended laundry.